Waka and the Courtly Tradition: The native tradition of courtly arts, rooted in Japanese waka poetry and the classical culture of the ninth through 12th centuries, is expressed visually through elegant calligraphies and imaginary portraits of poets. Often created by aspiring poets, these works are imbued with the artist’s respect for great poets of the past and the desire to emulate their accomplishments. Ink Painting and the Zen Milieu: Zen, a sect of Buddhism that originated in China, flourished in medieval Japan under the patronage of the warrior class. In the monasteries of Kyoto, monks and their patrons alike studied not only religious texts but also a broad curriculum of Chinese history and literature. Monochrome ink painting, frequently based on Chinese poetic themes and uniquely suited to the Zen worldview, was initially taken up by monks and later adopted by professional painters. Literati Culture: During the 18th and 19th centuries, a new wave of Chinese culture impacted Japan as many intellectuals turned to Neo-Confucian philosophy. 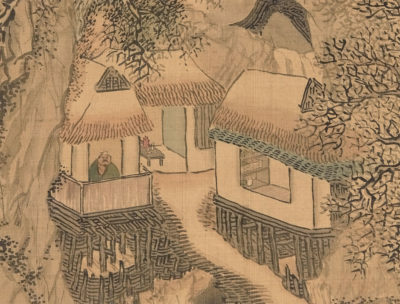 Painting and poetry by scholar-amateurs of the Ming period (1368–1644) became, ironically, a powerful form of self-expression and group identity for low-ranking samurai scholars and other intellectuals. In their romantic landscapes, we are invited to join the painter-poets in their mountain retreats and compose verses together. Modern Innovations: For many 20th-century artists in Japan, the great challenge was the question of how to create a modern idiom that was not overwhelmed by Western influence. Was tradition a hindrance, or a reservoir to be mined? The calligraphers and painters in the exhibition found ways to transform traditional techniques and media to create intensely personal styles. Their emotional investment imparts a lyrical quality to their work. On three weekends during the exhibition, visitors of all ages are invited to find poetic inspiration by delving into some of the themes and creative processes represented in the exhibition. Other public programs include an Evening for Educators, exhibition tours, an opening lecture by curator Maribeth Graybill, and a symposium and scholars’ day in early December 2018. A fully illustrated catalogue presenting new research by an international group of leading scholars will be published in 2019. This distinguished team includes: Paul Berry, Ph.D., formerly of Kansai Gaidai University and the University of Washington; Maribeth Graybill, Ph.D., The Arlene and Harold Schnitzer Curator of Asian Art, Portland Art Museum; Michiyo Morioka, Ph.D., Independent Scholar; Joshua Mostow, Ph.D., Professor, Department of Asian Studies, University of British Columbia, and Fellow, Royal Society of Canada; Sadako Ohki, Ph.D., Japan Foundation Curator of Japanese Art, Yale University Art Gallery; and Arata Shimao, Ph.D., Professor of Japanese Art History, Gakushūin University, Tokyo. Please note that the light levels will be low throughout this exhibition in order to protect the artwork. Organized by the Portland Art Museum. Curated by Maribeth Graybill, Ph.D., The Arlene and Harold Schnitzer Curator of Asian Art, with Jeannie Kenmotsu, Ph.D., Japan Foundation Assistant Curator of Japanese Art, and Sangah Kim, Cowles Curatorial Fellow in Asian Art. Opening Lecture: Maribeth Graybill, Ph.D. 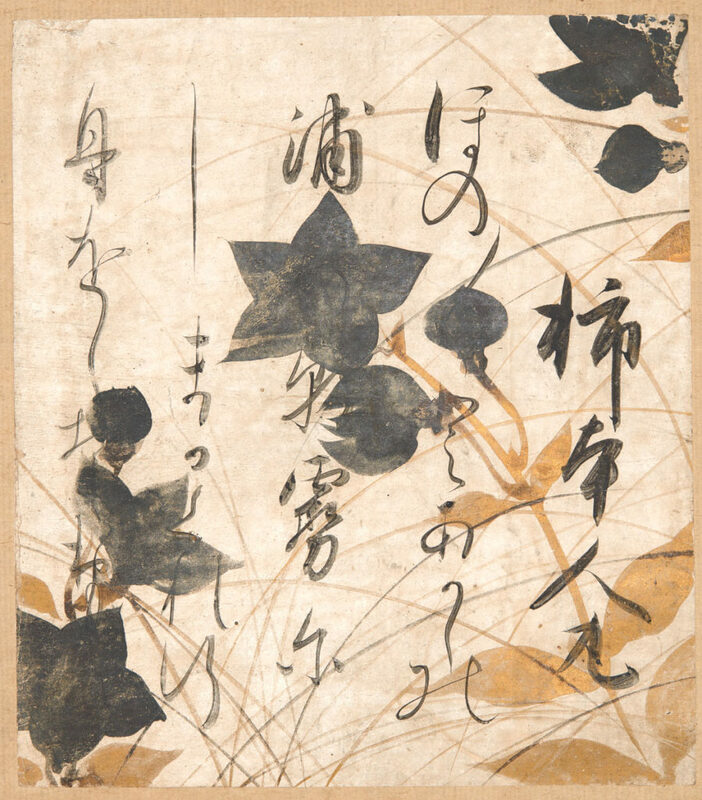 These videos highlight the calligraphy styles in the exhibition.